My birthday is really coming soon, YAY! I received these special surprises this week. Being away from my family, I usually just hear Mass and have a simple lunch with my close friends here on the day of my birthday. Simple greetings and warm thoughts for my birthday are really enough for me; so birthday presents make my birthday extra special. 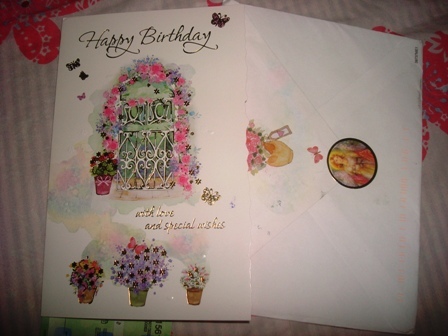 I really appreciate it so much when family and friends go out of their way to send me something on this special day. This post is a “thank you” post to show my appreciation and gratitude to these wonderful people who remembered my birthday. 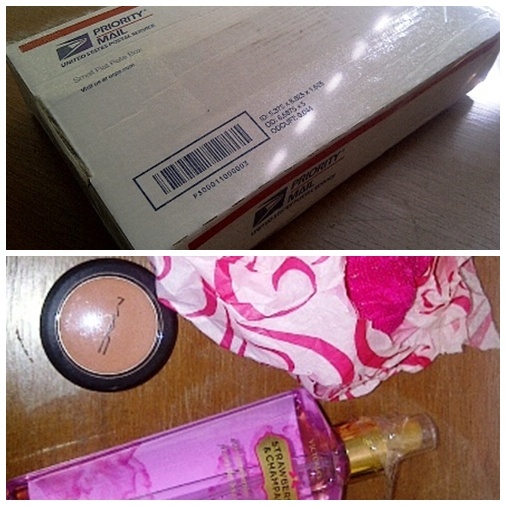 I got another package and this time it was from my cousin who lives in America. My cousin never fails to also surprise me on special occasions and for this, I am truly grateful. She also knows I love makeup and whatnot so I really appreciate her thoughtfulness. Thanks, cuz! How do you celebrate your birthdays? Care to share? The weekend is two days away so I hope you all have a good one! P.S. 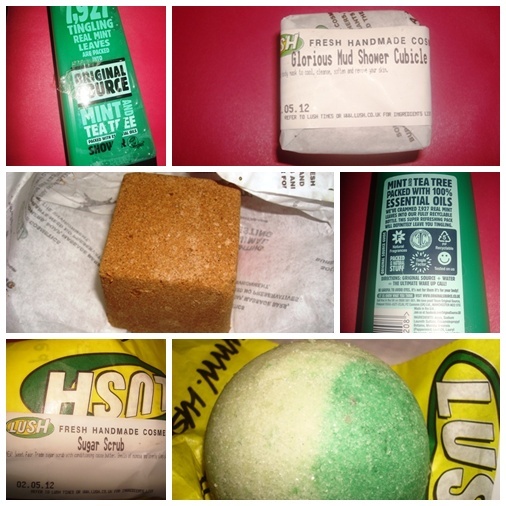 Let me know if you want me to review any of the products I mentioned above. Also, please don’t forget to follow or subscribe to my blog if you want to join my birthday giveaway which will end on May 26, 2012 11.:59pm GMT+7. Check out the giveaway here. Jessica Sanchez may have not won American Idol Season 11 but at 16 years old, she is undoubtedly one great singer! If given the right songs, she’ll surely have a successful career ahead of her. I always drop by The Face Shop shop whenever I see one. Declaring (repeatedly!) 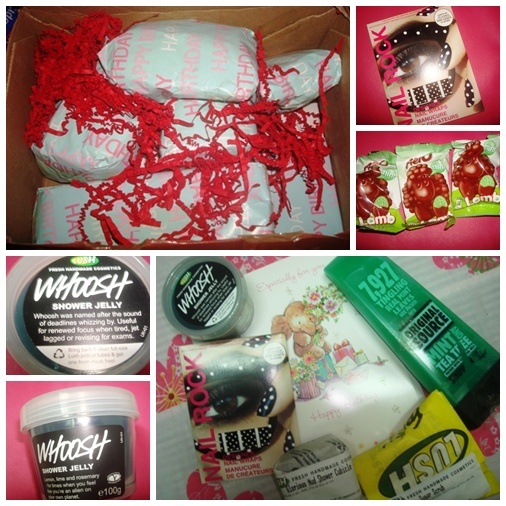 that The Face Shop is one of my favourite brands is an obvious understatement. Anyway, one lunchtime when I couldn’t resist going to the mall, I knew I had to check out The Face Shop even though I don’t need anything. The Mini Pet Floral is an uber-cutely packaged hand cream which was launched here around 2-3 months ago. Aside from Floral, there are actually three more variants – Fruit, Baby and the newest one, Sweet. 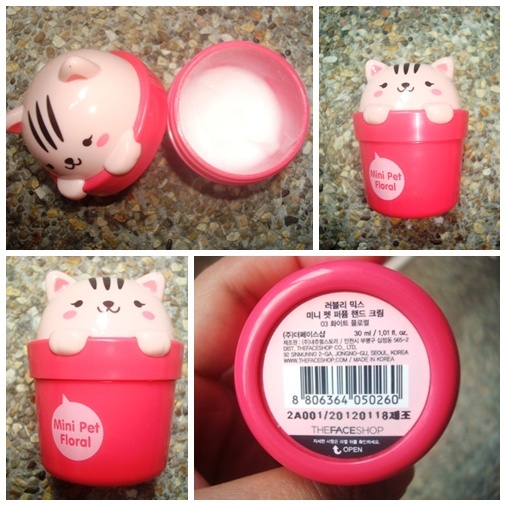 First Impressions: The cute package with a kitty peeking out the pot is so adorable to ignore. Though it may look bulky, it is really small at around 2 inches in height and the base measures at 1 inch in diameter. It can easily be tucked into my big office purse so the mini pet comes with me to work. It is a little unhygienic though as I have to dip my fingers in the pot every time I apply the hand cream. Scent: The Mini Pet series is a perfumed hand cream. According to The Face Shop Thailand Facebook, Floral is inspired by Dior’s “Addict to Life”. I haven’t really smelled that perfume but Mini Pet Floral does not contain that overpoweringly heady floral scent. I’m not really into floral scents (well, except for cherry blossoms!) but this one is very mild and with only little hints of flower scents (but I can’t figure out what flowers they actually are). Hand Cream: It does not really moisturise or soften my hands that much but it can counter the effects of the drying hand wash we have in our office toilet, so it’s good and helpful enough for me. Price: THB245 (at 30 grams) =approximately US$8.50 It is probably reasonable if for the novelty of the packaging but there should be similarly-priced hand creams with better moisturising effects. Availability: The Mini Pet hand creams are available at The Face Shop. There are several The Face Shop shops that can be found in Bangkok and other areas. What’s your favourite hand cream? Care to share? Hope you’re all enjoying your Saturday! P.S. If you haven’t entered my Thank You and Birthday Giveaway, please don’t forget to join and check it out here. Hi everyone! 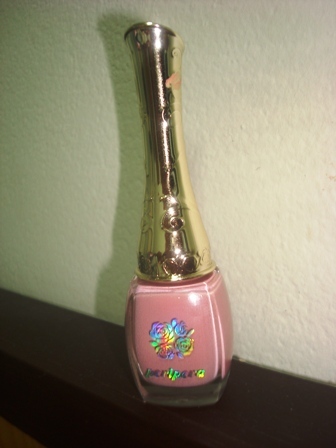 I would like to show you a swatch of essence Glisten Up. 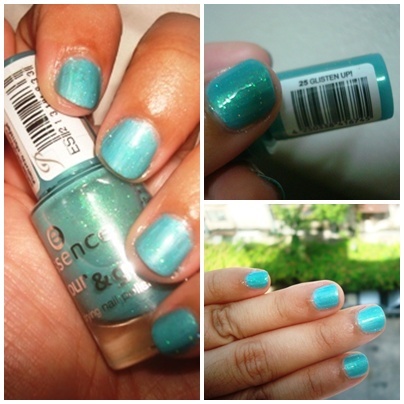 Glisten Up is a sheer aqua green nail polish with green/ neon-ish green with holographic microglitters. 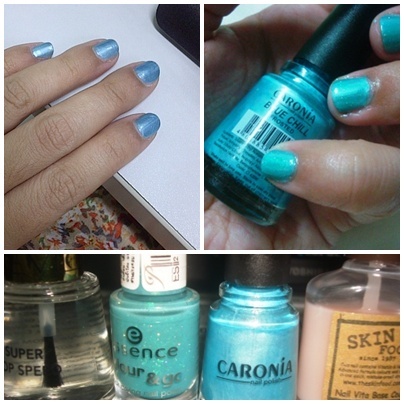 I used Caronia Blue Chill as my base colour and I was glad to choose a complementary colour. Like I have mentioned in my earlier posts, I am not really a “green” person but trying this nail polish combination definitely made me a convert. The green is actually a “feel good” colour that is easy and pleasant to the eyes. What I especially like about using Glisten Up and Blue Chill is that a duochrome effect was created as a result of the combination. The mixed colour is very pleasing to the eyes. 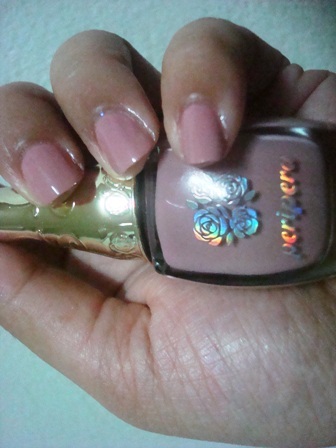 Looking at my nails gave me a cooler disposition in this very hot Bangkok weather. 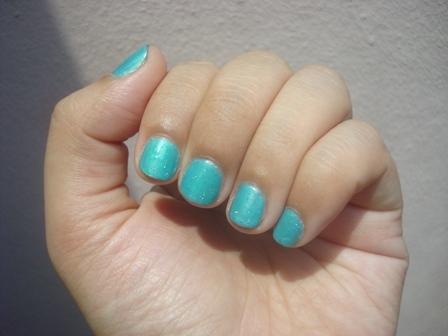 My nails even remind me of the ocean and mermaids. I really can’t help but look at my nails all the time. What do you think?